QMobile I8i Pro II's retail price in Pakistan is Rs. 9,700. Official dealers and warranty providers regulate the retail price of QMobile mobile products in official warranty. Retail Price of QMobile I8i Pro II in Pakistan is Rs. 9,700. Retail Price of QMobile in USD is $72. QMobile I8i Pro II- A New Improved Handset. QMobile has launched another entry-level I8i Pro variant which is known as II. Well, the company seems to continue with the same brand. 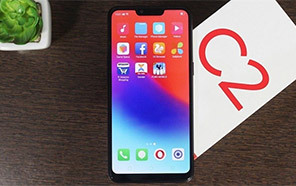 The company is very keen to hit the market with entry-level handsets, keeping an eye on the budget level of the users. QMobile I8i Pro II is the successor of I and will be a good replacement for its last variant and will try to please the users by providing them with a sufficient amount of data storage and high-end specs. QMobile's I8i Pro II will come with a 5.45 inches broad display screen. Large screening is always good fun and especially when it is provided by an entry-level device and an affordable price. QMobile I8i Pro's new handset will run on Android Oreo 8.1. One of the best operating system for an entry-level device. The phone will be powered by a Quad-core 1.3 GHz processor. I8i Pro II by QMobile seems to have a powerful processor with relatively enhanced performance. To perform tasks quickly, 1 Gigabyte RAM is installed in the QMobile Pro II. It will make sure that task you handle o the set will be done in no time. As for as the storage is concerned, the handset is packed with an 8 Gigabytes of internal storage which means that QMobile I8i's Pro II will manage the storage problem nicely. It might support a microSD card that will further enhance the storage capacity of the gadget. 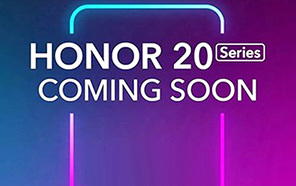 The handset will be equipped with front and back cameras. I8i Pro II is going to have a 5 megapixels primary sensor along with a 5 megapixels selfie shooter. This is a good introduction to the market, especially for low budget users. 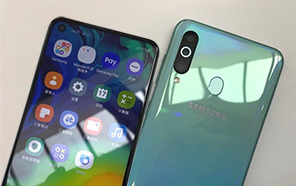 Pro II, though do not have the same reputation as Samsung, Huawei, and other branded tech giants but still be a good competitive for all the above-mentioned manufacturing companies. It is available at a very reasonable price, 9700 PKR. Disclaimer. QMobile I8i Pro II price in Pakistan is updated daily from the price list provided by local shops and dealers but we can not guarantee that the information / price / I8i Pro II Prices on this page is 100% correct (Human error is possible), always visit your local shop for exact cell phone cost & rate. QMobile I8i Pro II price Pakistan. Price kay lehaz say specs thk hi hain lakin itnay kam specs may aj kal kahan guzara hai. The latest price of QMobile I8i Pro II in Pakistan was updated from the list provided by QMobile's official dealers and warranty providers. The best price of QMobile I8i Pro II is Rs. 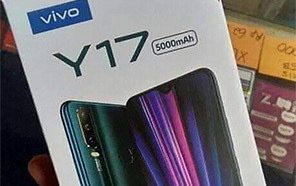 9,700 in Pakistan in official warranty ( without discount ), while the without warranty Grey market cost of I8i Pro II QMobile is N/A. The price stated above is valid all over Pakistan including Karachi, Lahore, Islamabad, Peshawar, Quetta and Muzaffarabad. Slight deviations are expected, always visit your local shop to verify Q Mobile I8i Pro II specs and for exact local prices. QMobile I8i Pro II Price in Pakistan is Rs. 9,700 as of Tue 23/04/2019.